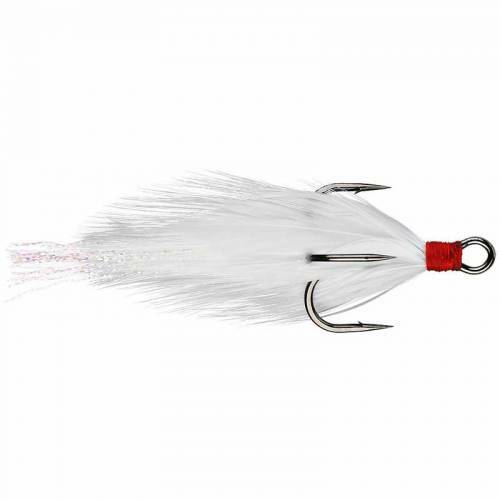 Gamakatsu Feathered Treble Hooks #6 - White/White. Features a feather tail on Gamakatsu's most popular black treble hook. Works great with crankbaits and topwater plugs. Size 6. White/White. 2 per pack.